Mauritanian human rights defenders who speak out against the persistent practice of slavery and discrimination in the country have faced arbitrary arrest, torture, detention in remote prisons and the systematic banning of their gatherings, Amnesty International said in a new report published today. ‘A sword hanging over our heads’: The repression of activists speaking out against discrimination and slavery in Mauritania documents the growing repression of individuals and organisations who dare to denounce slavery and discrimination, as well as the government’s denial of the issue. “Despite abolishing slavery in law nearly 40 years ago, the Mauritanian authorities continue not only to tolerate this practice but to repress those who speak out against it. With major elections on the horizon this year and next, the risk of social unrest is high unless all voices – even critical ones – are respected. The authorities must stop this assault on human rights defenders and take concrete and meaningful measures to put an end to slavery and discrimination,” said Colm O’Gorman, Executive Director of Amnesty International Ireland. The report details the different tactics used by the Mauritanian authorities to silence human rights defenders and activists, including prohibiting peaceful demonstrations, using excessive force against protesters, outlawing activist groups and interfering with their activities. In 2016, international anti-slavery groups estimated that the number of people living in slavery in Mauritania could be as high as 43,000 -approximately one per cent of the country’s population. Amnesty International has found that police, prosecutors and the judiciary failed to respond adequately to reported cases of exploitation, to identify victims or punish suspected perpetrators. In 2016, only two individuals were sentenced by the country’s anti-slavery courts, despite them receiving 47 cases for investigation involving 53 suspects. The report reveals that discriminatory practices particularly affect members of the Haratines and Afro-Mauritanian communities. This includes severe under-representation in leadership positions and obstacles to registration which limit their access to essential services. The right to protest is also being suppressed in Mauritania, with 20 human rights groups informing Amnesty International that the authorities had banned or dispersed their peaceful assemblies in recent years – sometimes using excessive force causing serious injuries, ranging from fractured limbs to head trauma. For example, in April 2017, a march of about 100 young activists calling for education policies to be more inclusive was violently dispersed in the capital Nouakchott, and 26 activists were arrested. On 28 November 2017, members of the Widows and Orphans Association were beaten by security forces after 15 of them were arrested during a peaceful protest. One of the orphans required hospital treatment after being punched in the head. It is not only protests that are banned; entire organisations combating slavery and discrimination are too. The report documents the cases of more than 43 groups who have never received authorisation to operate, despite repeated requests. These include the youth and pro-democracy association Kavana (meaning ‘Enough’) and the anti-slavery movement Initiative for the Resurgence of the Abolitionist Movement (IRA). Since 2014, Amnesty international has documented 168 cases in which human rights defenders have been arbitrarily arrested, including at least 17 cases where they were subjected to torture and other ill-treatment. The 25th February Movement, a youth and pro-democracy group, has seen 23 of its members arrested since 2014, while 63 members of anti-slavery group IRA have been arrested in the same period. Vicious smear campaigns, assaults and death threats are carried out with complete impunity against human rights defenders, who are often labelled as traitors, criminals, foreign agents, racists, apostates or politicians. Such intimidation has come from the highest levels of the state and religious groups and occured during international meetings in Europe. For example, human rights defender Mekfoula Brahim has been the target of a sustained and co-ordinated smear campaign on social media and has been receiving death threats after she called for blogger Mohamed Mkhaïtir’s death sentence to be quashed. “Campaigns to portray human rights defenders as threats to national security or to a country’s cultural values put activists in danger and have a serious impact on the right to freedom of expression. 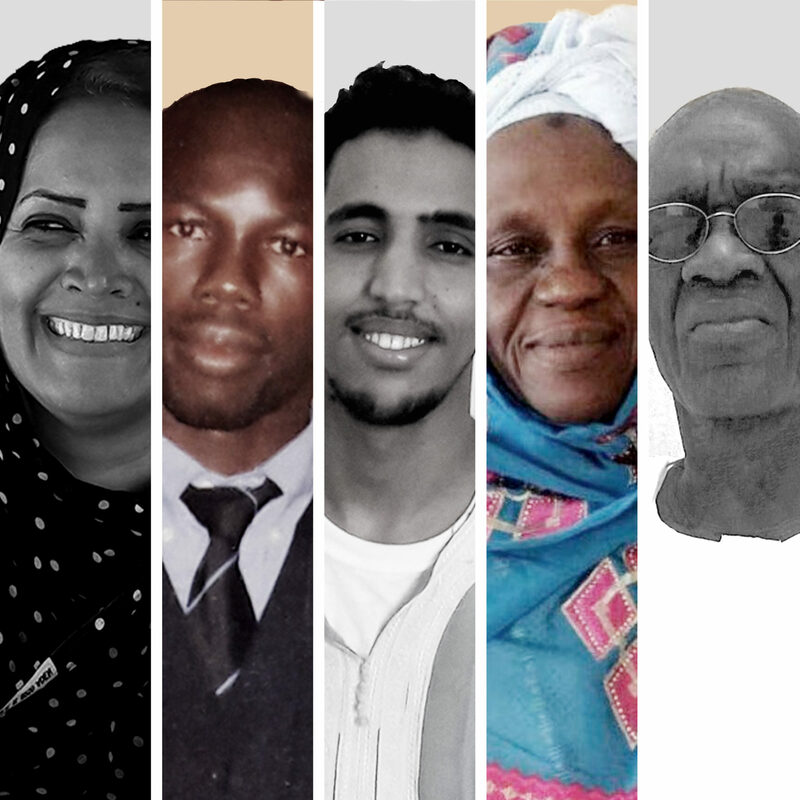 The Mauritanian authorities should show that all voices are respected and release those arrested simply for speaking out against discrimination or supporting the work of human rights defenders,” said Colm O’Gorman.